Some more in my series of photos from ten years ago. I seem to have very few of interest from February 2005. 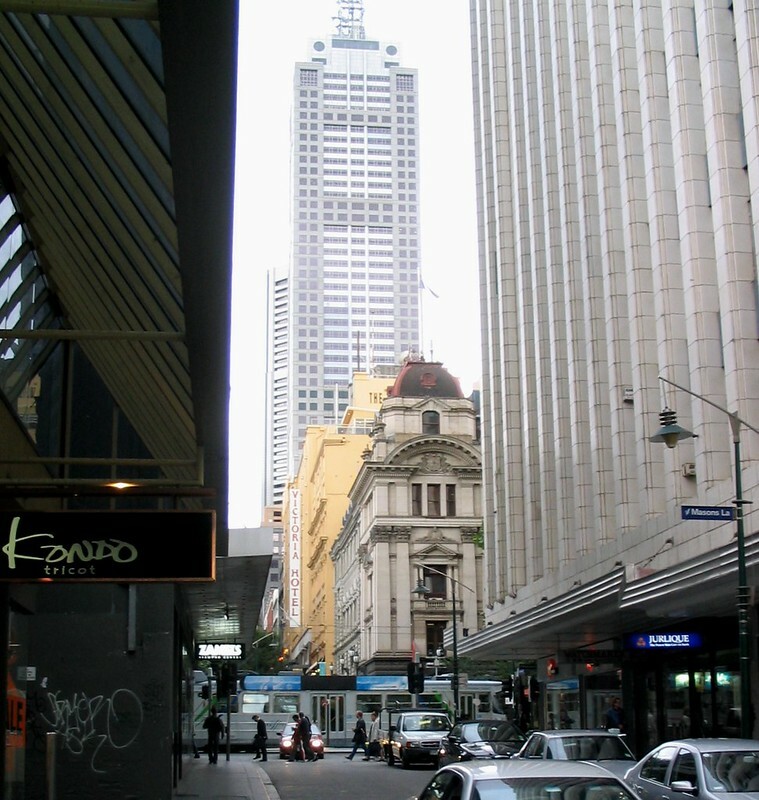 Little Collins Street, looking east. I’m not actually sure why I snapped this (actually I’ve got three similar photos), but note the car that’s got itself stuck between the pedestrians and the tram in “battleship grey”. Other than the tram colours which have changed a couple of times since, the scenery hasn’t changed that much, though the distinctive Council House 2 is now on the left hand side of the street further up. That’s all for this month… more next time I hope! ← Previous Previous post: Apples: $5.98, or $6.48? 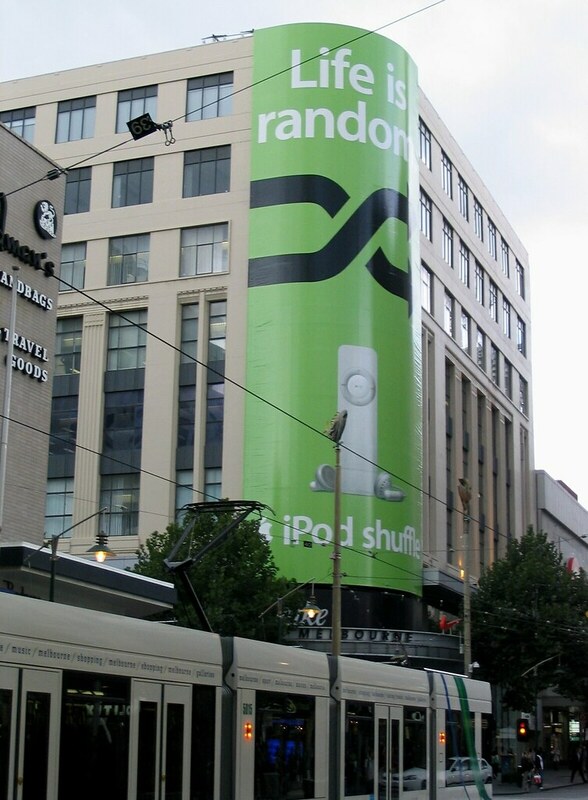 Re: iPods. Today’s fashion is tomorrow’s trash. The ‘battleship grey’ tram livery is also known as Yarra Trams Mk 2 – according to Vicsig there are still 25 Z3 class trams rolling around with it, but with a lot of bonus rust. Note that since 2005 we have also seen the Yarra Trams Mk 3 *and* Mk 4 liveries come and go, only to be replaced by the current PTV livery!